UTEC developed specifications and the electrical design of a 480V Motor Control Lineup and associated starters and variable frequency drivers. UTEC developed speciﬁcations and the electrical design associated with the Seneca WTP Primary Electric System Improvements project. This work included design of a 4.16 kV Loop Feed System that provided a redundant primary source to each of the WTP’s ﬁve major facilities. Other work included facility electrical design, PLC speciﬁcations, process instrumentation design, and SCADA system design associated with the WTP’s new Administration/Laboratory Facility and new Sludge Handling facility. Complete assessment and evaluation of the condition and operating eﬃciency of the town’s waste water treatment plant, including the electrical system. UTEC performed a study for the Harnett County Public Utilities Department to review optional retail electric rates oﬀered by Progress Energy (now Duke Energy) to minimize costs. This study included review of operations to reduce electric costs. UTEC developed design drawings and specifications for an upgrade to the medium voltage distribution system at the Wise WTP in Greenwood, SC. Modifications included a spare transformer to serve the Chemical Building, a new medium voltage feeder and fused disconnect for the spare transformer, a new redundant medium voltage feeder and fused disconnect switch for the low service pumping station, and relocation of all loads from an obsolete MCC. UTEC developed specifications for an adjustable speed drive and 200 horsepower vertical hollow shaft induction motor to replace a wound rotor and starter. UTEC completed an economic feasibility analysis of a project to replace five existing high service pump motors with high efficiency motors. Design of dual feed service including the addition of a 750 kVA 2400/480 V unit substation, medium and low voltage cable and raceway, 480 V interlocked switchgear, 750 kVA transformer for a variable speed drive, medium voltage fused switch and switchgear modifications for the Wise Water Treatment Plant in Greenwood, SC. Analysis of the effect of harmonic currents and voltages due to non-linear loads at the Wise Water Treatment Plant in Greenwood, SC. Design, specification, and installation assistance for a fiber optic telemetry system at the WTP in Gaffney, SC. Evaluation of the power service and distribution system at the Lake Greenwood WTP in Greenwood, SC. Design of medium voltage switchgear for a new high service pump at the Harwood’s Mill WTP in Newport News, VA. Evaluation of the telemetry system for the Asheboro, NC WTP. Electrical and process control design for Dissolved Air Floatation (DAF) system at Seneca WTP, Seneca SC. Electrical design and instrumentation upgrades for the addition of four (4) new filters at the Seneca WTP in Seneca, SC. Arc Flash Hazard Analyses for: Seneca WTP & Wastewater Lift Stations: Gaffney WTP, Easley Combined Utilites WTP & WWTP, City of Georgetown WTP & Wastewater Lift Stations. 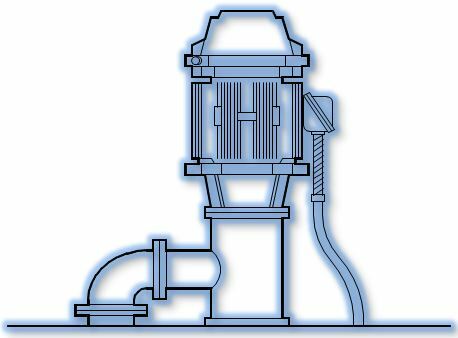 Design of filter backwash automation and flume level control fro Wise Water Treatment Plant in Greenwood, SC. ﻿﻿﻿﻿"Utility Technology Engineers-Consultants (UTEC) has proudly provided electrical engineering design, analysis, consulting, and construction services to utilities and various industries for over 26 years. UTEC's home office was founded in 1989 and is located in Asheboro, NC, with a branch office in Spartanburg, SC. Our skillful engineering staff members averages over 26 years of experience."